RALEIGH, N.C. — A loss didn’t prevent Virginia from climbing to No. 1 in AP men’s basketball poll for the first time in more than 35 years after all. The Cavaliers rose a slot to sit atop Monday’s AP Top 25 despite an overtime home loss Saturday to Virginia Tech, part of an upset-filled week that allowed for plenty of uncertainty in the poll. 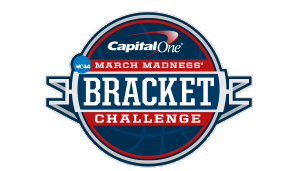 The Cavaliers (23-2, 12-1 Atlantic Coast Conference) earned 30 of 65 first-place votes to outdistance No. 2 Michigan State and rise above the turmoil that included last week’s top three teams all losing. Tony Bennett’s Cavaliers had been at No. 2 before this season, but this is the first time the program has reached No. 1 since December 1982 — the senior season of 7-foot-4 great Ralph Sampson — back when the poll ranked only 20 teams. And that team fell out of that spot after its improbable upset loss to Chaminade in Hawaii, regarded by many as the biggest upset in the history of college sports. Virginia looked set to reach the No. 1 spot after Villanova’s home loss to St. John’s before losing to the Hokies. Still, the Cavaliers ended up there a day after the NCAA selection committee had them as the No. 1 overall seed in its reveal of the top 16 seeds to date. The Cavaliers — whose 12 previous weeks at No. 1 all came during the Sampson era — play with the top ranking for the first time since the Chaminade loss on Tuesday at Miami. Next came Villanova (23-2, 10-2 Big East), who fell to third after a five-week stay at No. 1 and earned nine first-place votes. Xavier (23-3, 11-2 Big East) inched up a spot to fourth and earned five first-place votes, followed by Cincinnati (23-2, 12-0 American Athletic Conference) at No. 5. This is Xavier’s highest ranking in its history, while Cincinnati is in the top 5 for the first time since spending a good chunk of the 2001-02 season there. Purdue (23-4, 12-2 Big East) fell from third to sixth after losing to Ohio State and Michigan State last week. Those losses snapped the nation’s longest winning streak at 19 games, marking Purdue’s first losses since falling to Tennessee and Western Kentucky on consecutive November days in the Battle 4 Atlantis tournament in the Bahamas. Rivalry wins against Duke and North Carolina State helped North Carolina climb seven spots to No. 14 for the week’s biggest jump. It continued the Tar Heels’ wild swings in poll positioning, including a nine-slot drop last month and two other slides of eight slots. Oklahoma and freshman star Trae Young had the biggest fall of the week, down six spots to No. 23. The Sooners have lost three straight and six of eight after Saturday’s loss at Iowa State. St. Mary’s (15th) and Arizona (17th) both fell four spots. The newcomers aren’t entirely new this week. Both No. 21 Texas A&M and No. 25 Arizona State have been ranked multiple weeks this season and appeared in the top 10, with the Sun Devils reaching No. 3 on Christmas Day. Kentucky fell out of the rankings for the second time this season — It hadn’t happened since March 2014 before this year — from No. 24 after three straight losses. Miami fell out from No. 25 after losing at Boston College. Next Article Should Ricky Stenhouse Jr. have been penalized for going below the yellow line in The Clash?